The Hermione's Time-Turner Cosplay Color tattoo measures 7.5CMx10CM. the picture is the same one as the movies of harry potter.
" I mark the hours, every one, Nor have I yet outrun the Sun. My use and value, unto you, Are gauged by what you have to do. " 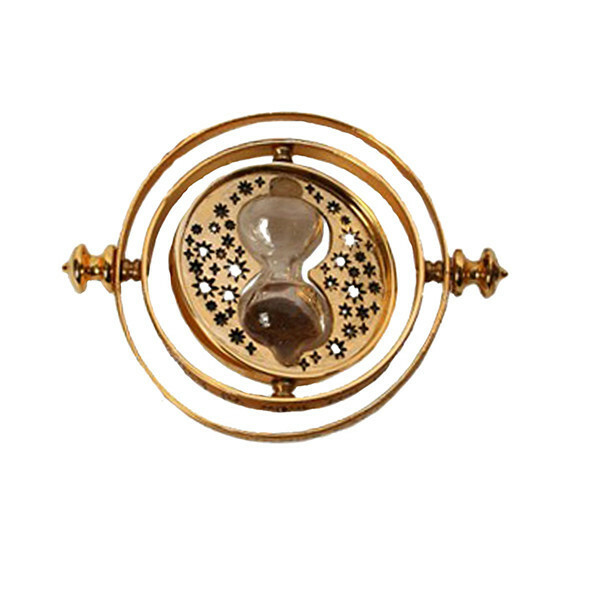 The Time-Turner was a device capable of time travel that resembled an hourglass on a necklace. The number of times one turns the hourglass corresponds to the number of hours one travels back in time. It is extremely important that the user of a Time-Turner not be seen by past or future versions of themselves unless, of course, said versions are aware of their usage of a Time-Turner. A possible scenario is a wizard or witch killing their past or future selves by mistake.